Master YB Kim holds an 8th Dan black belt in Tae Kwon Do. He began his training under his father, Grand Master HC Kim, at the age of 4. He started teaching under his father’s guidance at age 11 and also started competition around the same time. For the next 15 years he won multiple Grand Champions in fighting, forms, and weapons. 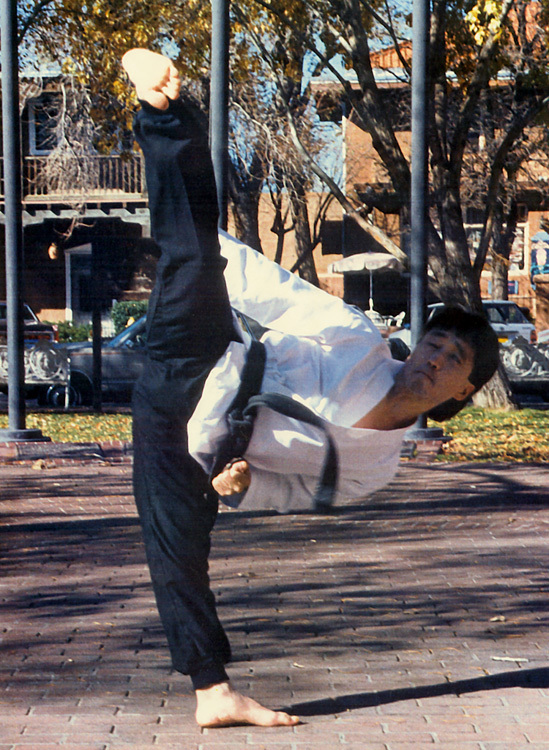 Since 1991 Master Kim has dedicated himself to teaching martial arts to a new generation of students. His teaching philosophy is entrenched in the idea that the traditional values of self control, respect, and perseverance will lead to physical and intellectual balance.